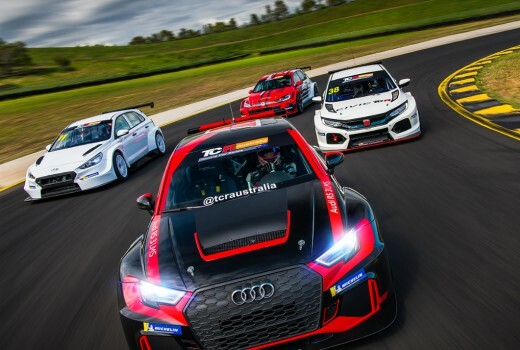 SBS has secured the broadcasting rights for the inaugural TCR Australia Touring Car Series with the Australian Racing Group and Confederation of Australian Motorsport. SBS will host Live coverage of 7 races on its primary channel on Saturdays and Sundays from May. The “hot hatches” races will feature models including Hyundais, Hondas, Audis, Volkswagens and Alfa Romeos. Ken Shipp, Head of Sport, SBS, said, “The TCR Australia Touring Car Series has a substantial and passionate following in Australia. It’s great news that live motorsport is returning to our screens at SBS. The opening round will be held at Sydney Motorsport Park on May 17-19. I’m surprised Fox Sports let this slipped through their hands unless the Australian Racing Group and Confederation of Australian Motorsport wanted it on FTA! Lots of people are awaiting this and it is very popular o’seas. Cars you can actually buy! Getting back to the roots of the original ATCC of the 70s and 80s (Brock, Moffat, Grice, Bond, Harvey eta al). Not these current NASCAR want to be’s with absolutely no soul or pedigree. Cars that you can actually buy, are you serious? These are just Supercars with 4 cylinder motors. No original panels, lights, wheels, interior etc. This will die a slow death in Australia as did it’s WTCC predecessor. I don’t know what CAMS was thinking, including yet another category here when there are no sponsor $ for current series already here. I’d rather watch a fleet of the new F5000’s than these boring half a dozen 4cyl tin tops. Great that we’ll be able to watch this in HD on their primary channel, I’m surprised however that 7 didn’t try pick this up for Mate or 10 for Bold. ‘The TCR Australia Touring Car Series has a substantial and passionate following in Australia’….. How can that be when it is the inaugural series? Slip of the tongue or spin? Probably because it’s going to be part of the Shannons Nationals which has been going since 2006, which is popular and has caused there to be anticipation for the launch of this one, either way I guess we know where the money for RocKwiz went now. That’s a really strange thing to say about a series that has never been run before, doesn’t start until May, only has about three confirmed drivers, and has only a couple of confirmed manufacturers.